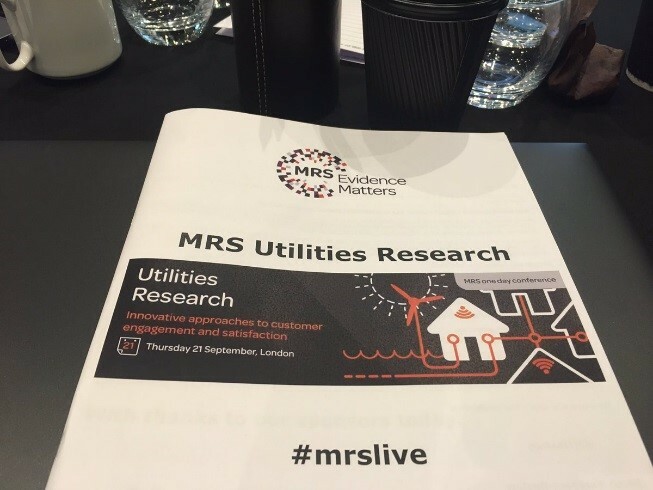 The first (but surely not last) MRS Utilities conference was held in London on the 21st September. The conference covered both the water and energy industries. I had a sense throughout that the industries are subtly diverse, as the markets are at different stages in their development. Nevertheless, there were some key, uniting themes that tied the conference together. This was the oft-mentioned mantra of the conference. However, while customers may have relatively low levels of engagement, they do all have opinions. When people start to think about our research questions the subjects can become highly emotive for many. As researchers, when we scratch under the surface we get to hear those strongly held views! People are better able to understand questions when they are framed in a context that affects them. Companies are using clever strategies around this. Thames Water’s “Your Water World” (which showed customers the impact on their own bill by changing different service levels) and United Utilities use of fake newspaper and social media posts were particularly striking. Using terminology that customers understand is vital to delivering good research. A great example of this came from Northumbrian Water who included the “9 year-old reading test”: if a 9 year-old can understand your communications, all of your customers can; simples! Vulnerable customers are not a homogeneous group. They have widely varying needs. Often they will exhibit multiple “vulnerable” characteristics, but even those presenting the same characteristics can have very different risk outlooks. A one-size fits all approach to research won’t work. We need to adapt our research methodologies to the individual needs. The household water sector remains closed to competition, and the non-household market in England has only recently opened, while the energy market has been competitive for over a decade. The overriding key challenge they face however is similar: how can we best listen to customers and ensure we are delivering what they want?